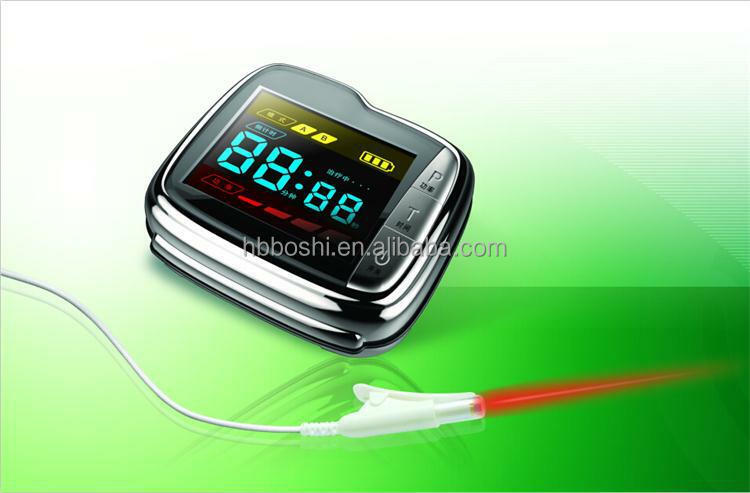 Our Semiconductor Laser Therapeutic Instrument has been developed base on modern laser medicine and clinical practice. in order to effectively treat and prevent heart and brain diseases and pain relief. 1. 11 diodes acupuncture laser irradiation.Application for all cardiovascular and cerebrovascular diseases,rhinitis, sinusitis, nasal polyps. 2.non-invasive, no side effect, no cross infection, pure green physiotherapy. 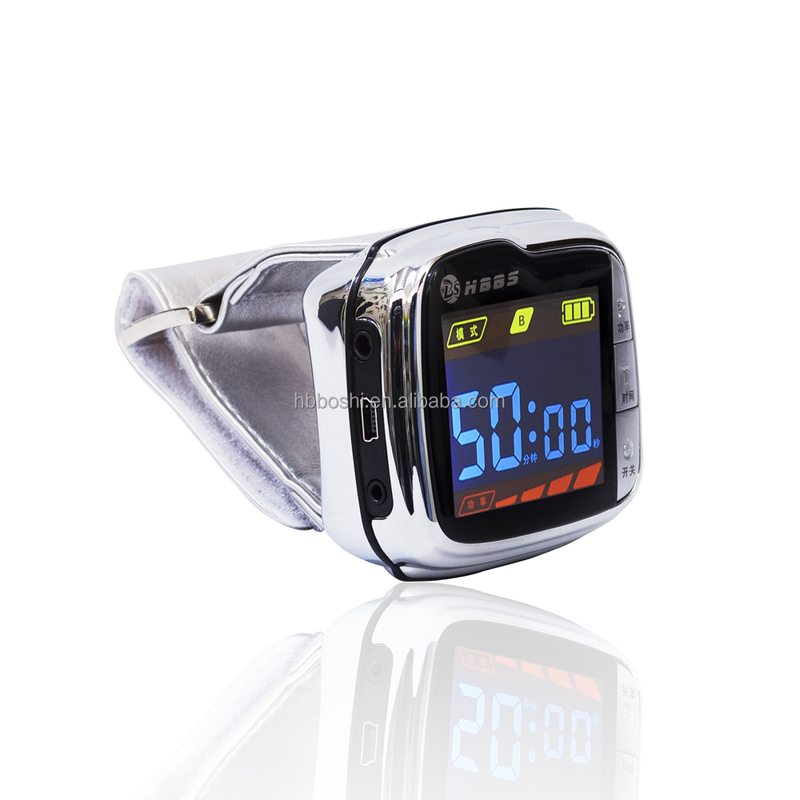 3.As household physiotherapy devices, small size, intelligent design, easy operation and convenient carrying. 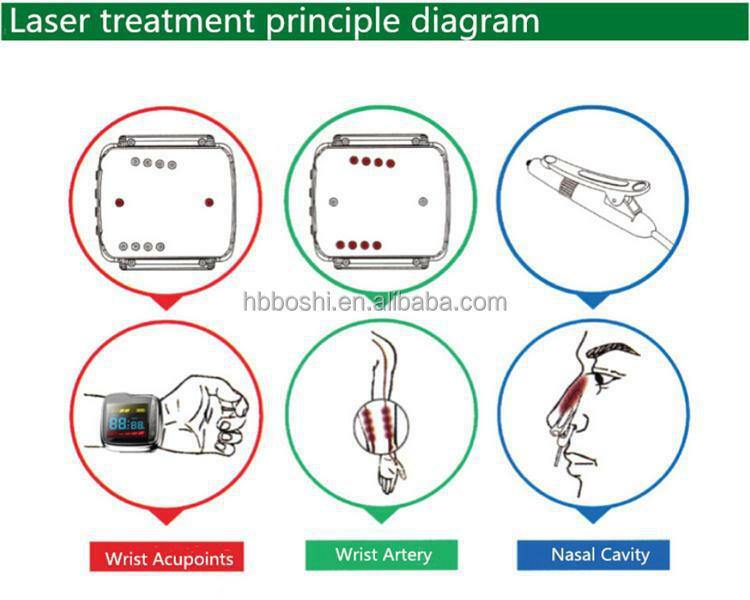 1.The inside of the left wrist wear products, nasal cavity laser head can be inserted into a nasal cavity. 2.Turn on the power to set the time,mode and intensity. 4.2 times a day,every 30 minutes or so. 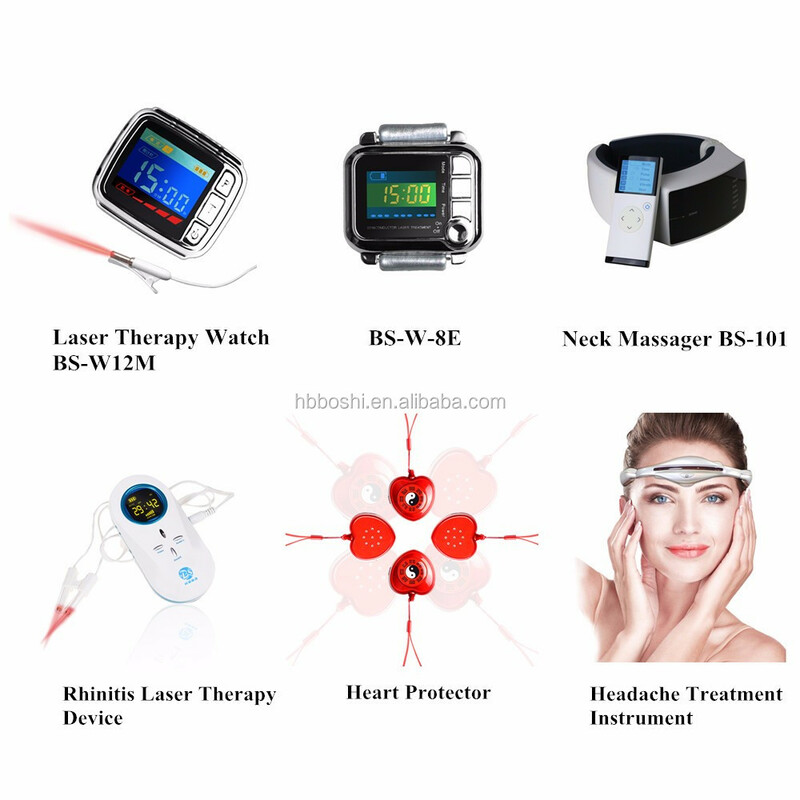 1.Very effect in treatment, laser irradiate three parts or acupoints of human body at the same time, it has been sole proprietor in the market. 2.A laser stabilizer specially added to perform with more stability. 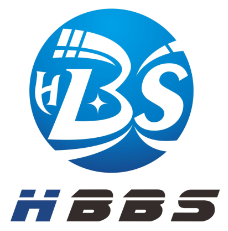 3.Our semiconductor laser devices are used by high quality import laser head, which has the long life-span. 4.Products owned five patents protection. 5.Humanistic and scientific design to fit human physiological curve and ergonomics. 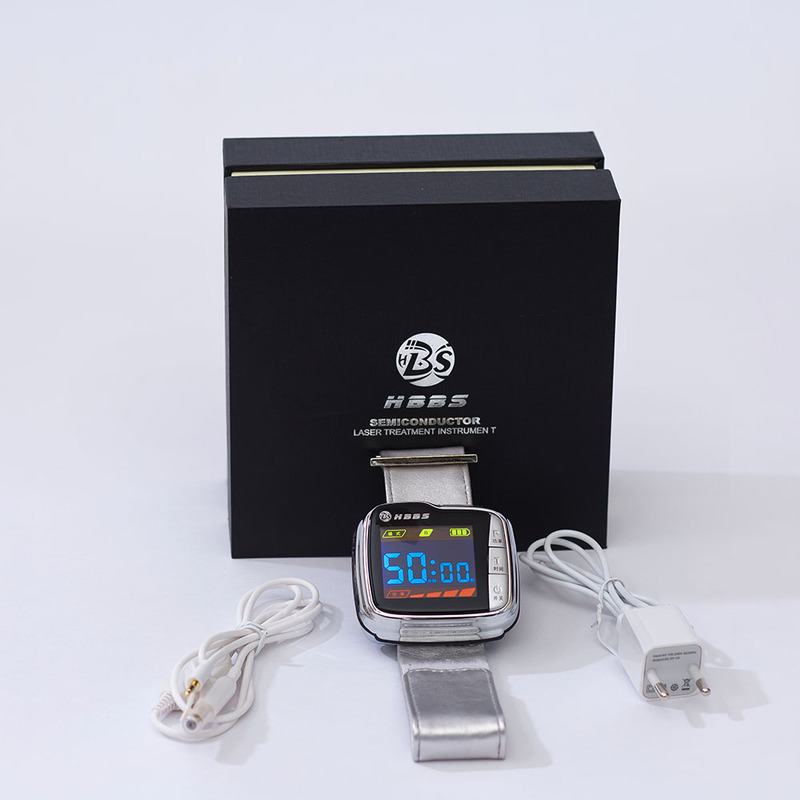 6.Medical use of high capacity lithium battery for the energy-saving. 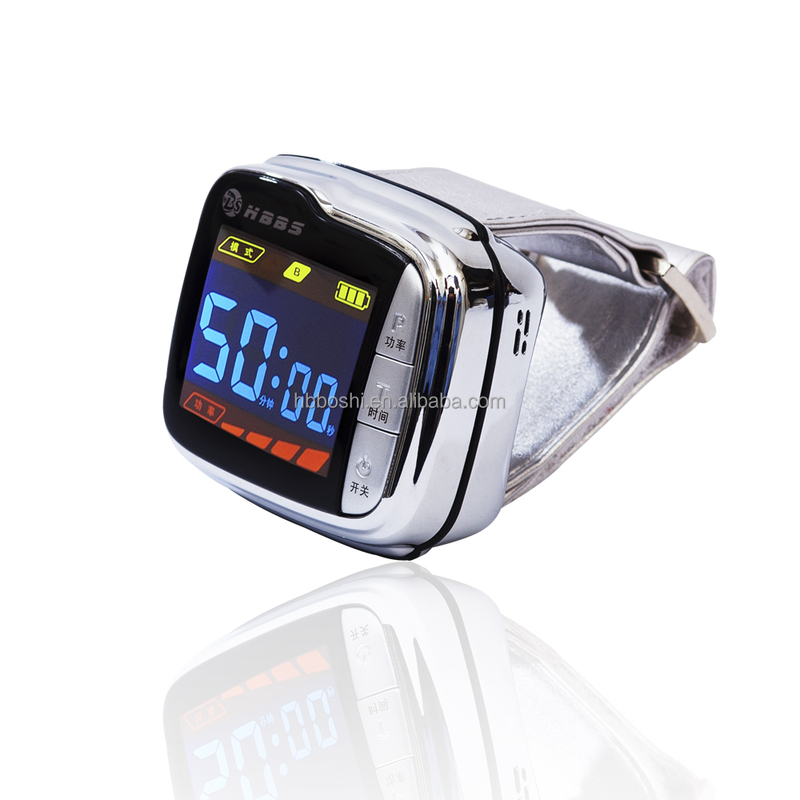 7.Large LCD screen display the time, date and calendar, also work as a watch, it is multiple functions design. 8.Using high-class and durable metal enclosure which is conducive to heat diffusion for the power stable. 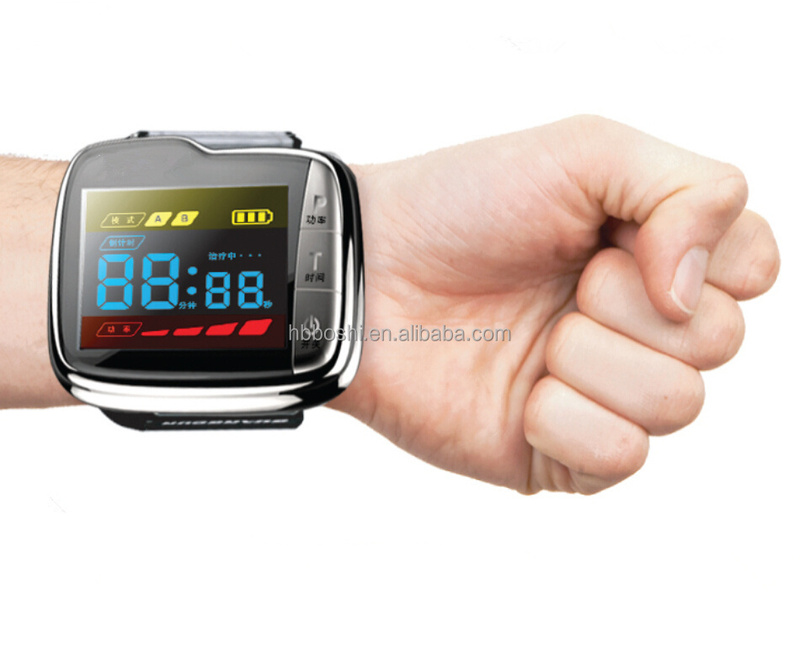 9.Time and power are adjustable, very smart memory system. 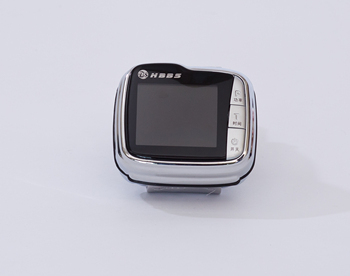 10.Two output modes: Pulse and Continues, which have manual and automatic switch available. 11.Pluggable laser wire, more convenience in use and easier maintenance.